With write speeds up to 90 MB/s1 and recording at the UHS Speed Class 3 (U3)2 . 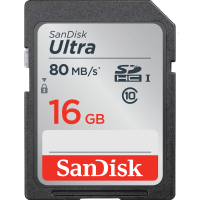 Our most powerful, highest capacity UHS-I SD memory card enables your DSLR, advanced digital or HD video camera3 to deliver high resolution, real-world color and stutter-free video. Transfer speeds up to 95 MB/s1 ensure that your data moves fast for a more efficient post-production workflow. 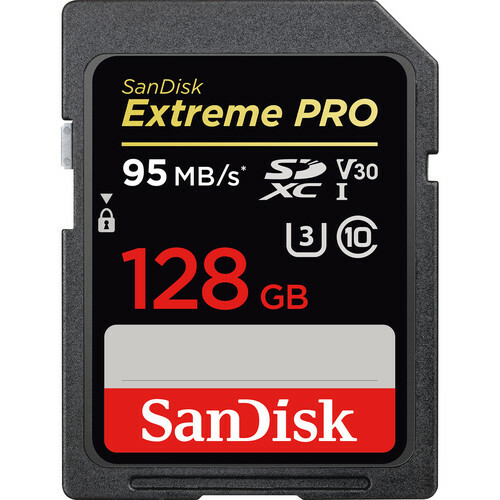 Never miss the moment with write speeds up to 90 MB/s1 (600X) and read speeds up to 95 MB/s1(633X), this card exploits your DSLR's potential for continuous burst-mode shooting. Engineered with Ultra High Speed (UHS-I) bus architecture, it is designed to exceed rigorous performance standards. You'll catch all those high-resolution action shots the moment they happen. 4K Ultra HD (3840 x 2160p)3 video provides exceptional clarity but capturing it without interruption requires significantly greater speed and storage capacity than previous generations of imaging cards provide. 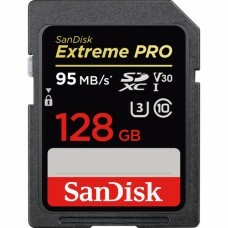 Our 512GB4 SanDisk Extreme PRO SDXC card delivers both speed and capacity, so the video you shoot today is ready for the newest 4K Ultra HD televisions and monitors.